Feeling the need to get back to basics? Go camping! Some 850 rated campgrounds offer up sites and facilities for every taste and budget in stunning natural settings: in the forest, on an island, alongside a river or on a fine sandy beach. Since 2004, campgrounds have been given one- to five-star ratings indicating the quality of their infrastructure and services. To snag a choice spot in high season (May to October), you’re best off booking in advance, especially in the national parks. Rent a canoe in a national park and try out canoe-camping. 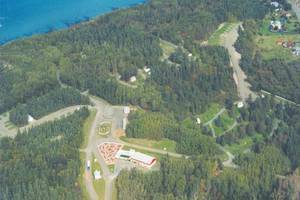 If you’re an avid cyclist, take advantage of the services offered at Bienvenue cyclistes-licensed campgrounds. Those who like to venture off the beaten track can try winter camping in a prospector’s tent. Are you keen to try your hand at camping but don’t have the necessary equipment? Then turn-key camping is for you! It’s the ideal solution for your first camping experience. 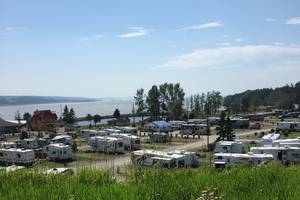 Several types of facilities and services are available at various campgrounds in Québec. Whether you’re looking to camp in a tent, trailer, yurt or other form of lodging, all the equipment you need for your excursion is provided (dishes, bedding, barbecue, etc.). 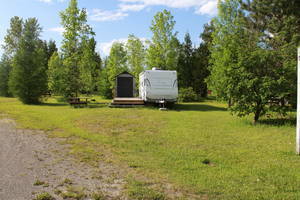 Turn-key camping is available at campgrounds belonging to the Société des établissements de plein air du Québec (Sépaq), Parks Canada and several private operators. So just pack your bag and head into the great outdoors! 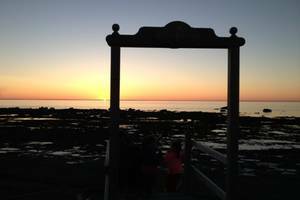 Do you dream of hitting the open road along one of Québec’s tourist routes? Make the adventure a reality by renting a trailer or motorhome! 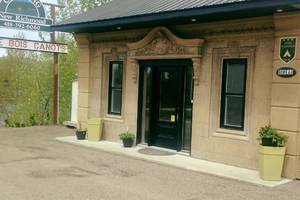 There are a number of rental companies offering short-, medium- and long-term rentals. It’s a unique and perfect way to discover different regions of our vast province with total freedom and at your own pace! Tepees were the accommodation favoured by nomadic Amerindians; the sedentary tribes lived in longhouses. Generally conical in form, tepees were covered in bark, animal hides or canvas.